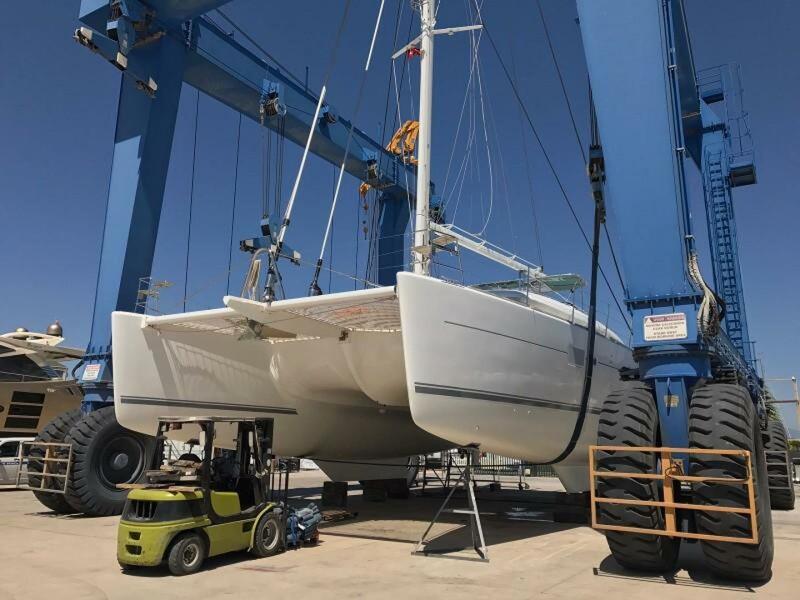 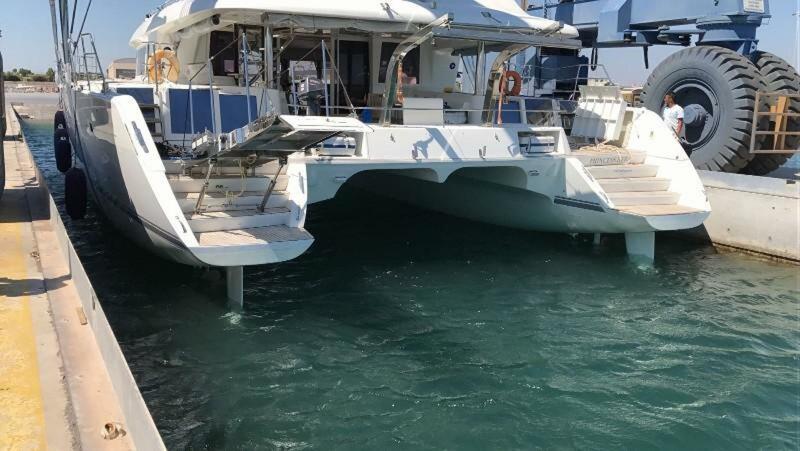 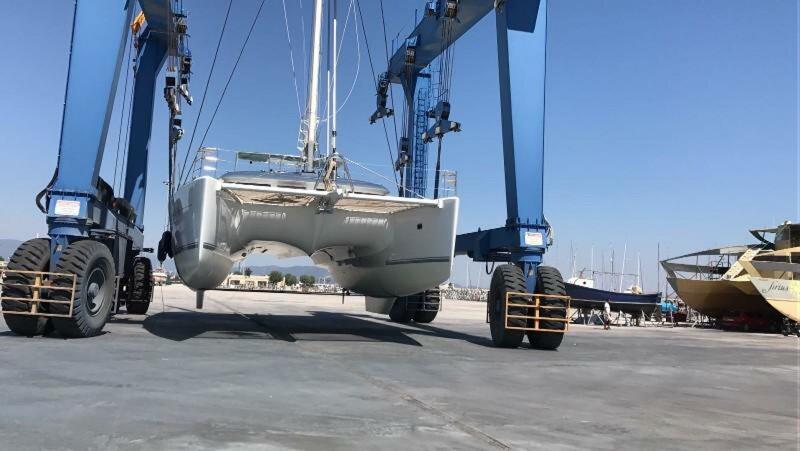 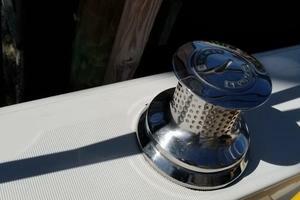 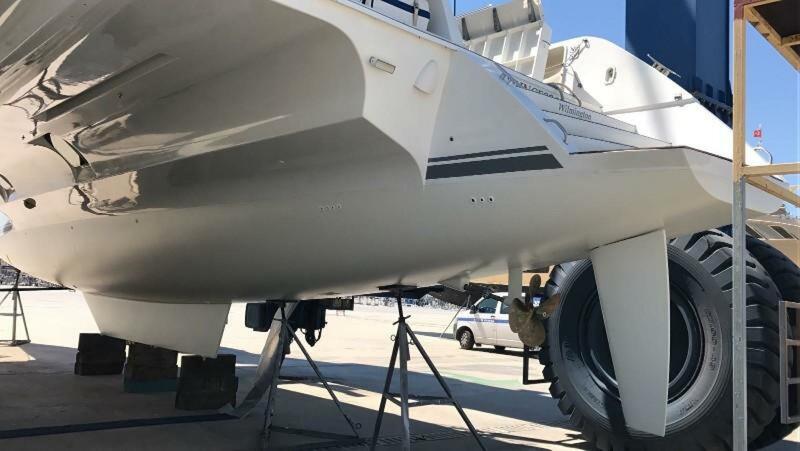 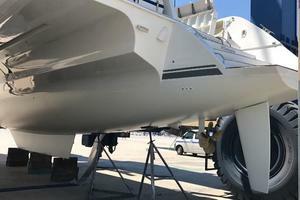 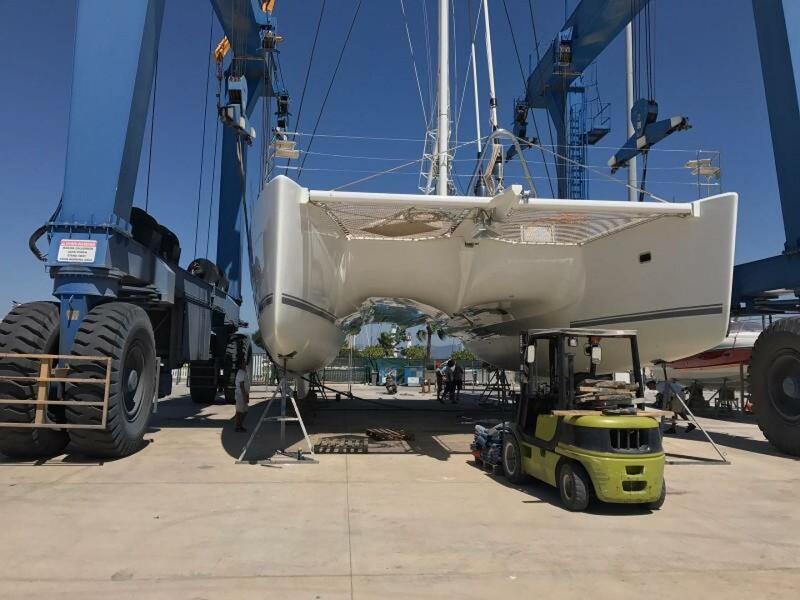 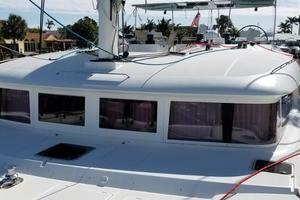 FEB 2018 – HULL AND DECK NEW POLISH AND WAX. 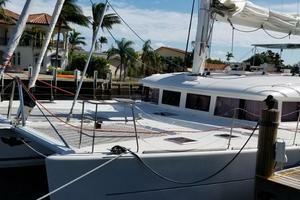 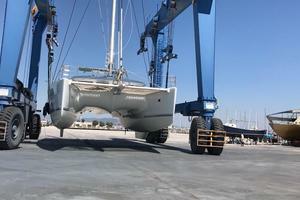 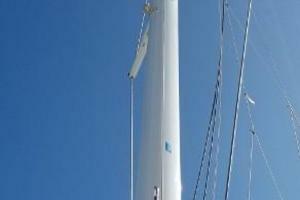 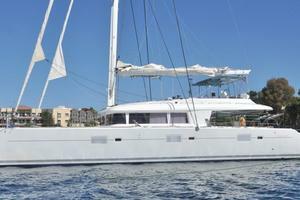 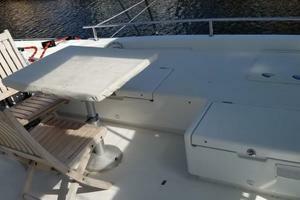 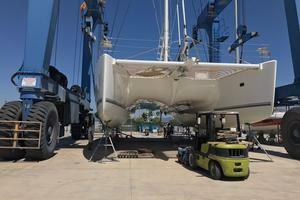 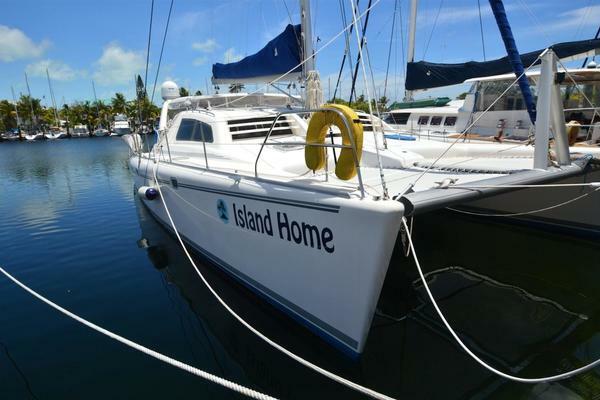 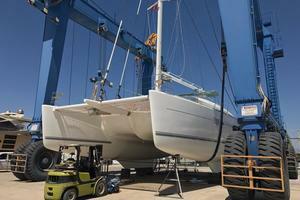 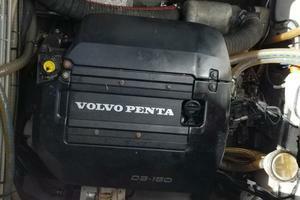 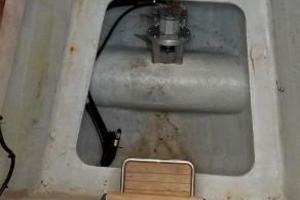 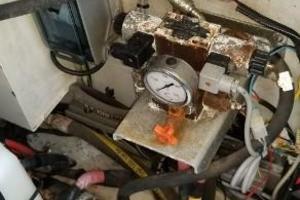 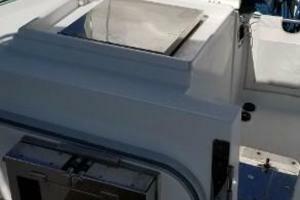 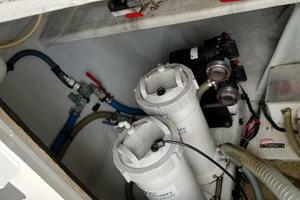 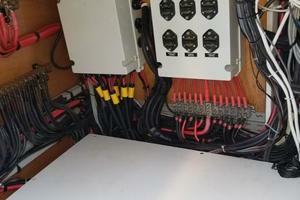 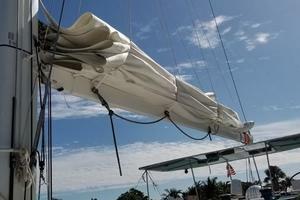 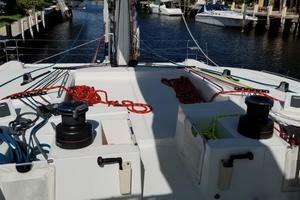 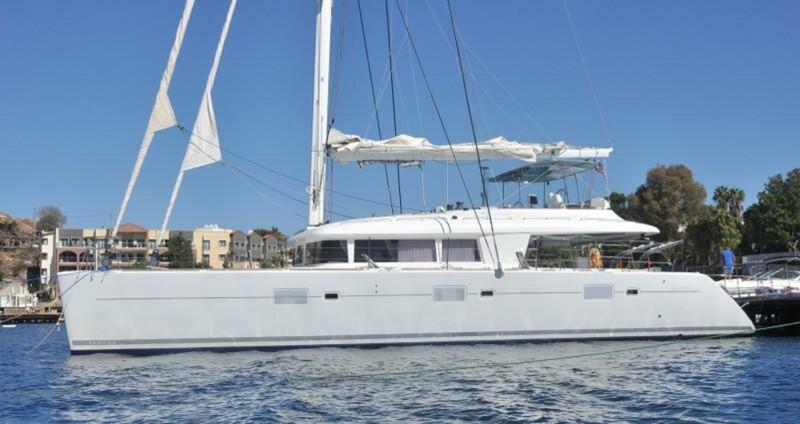 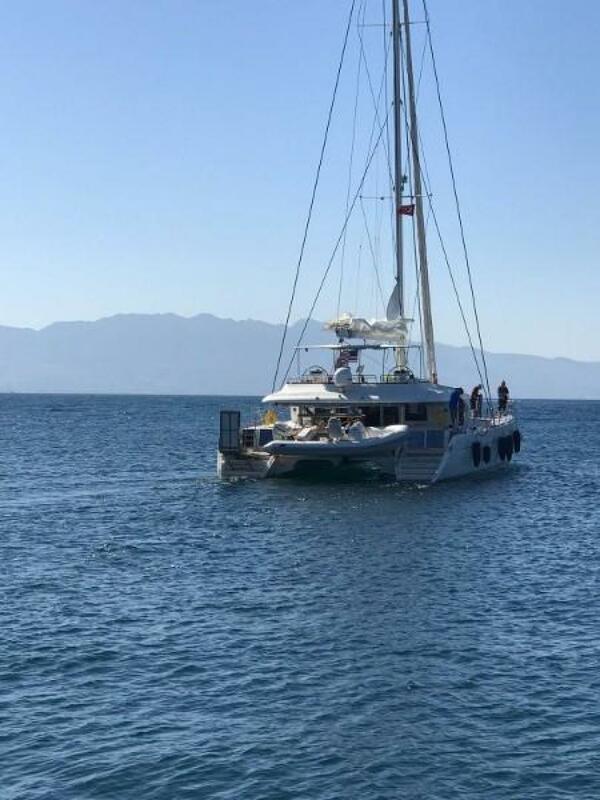 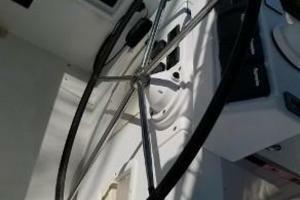 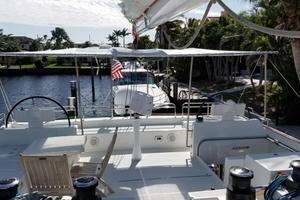 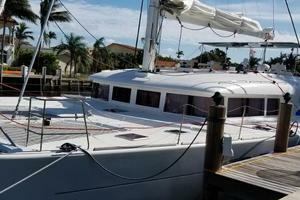 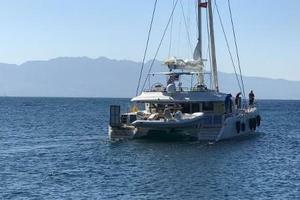 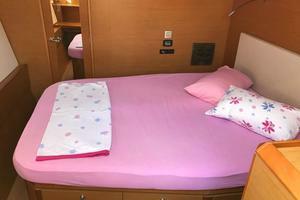 Princess Hera is a one owner L 620 that has be highly upgraded by an experienced owner/sailor. 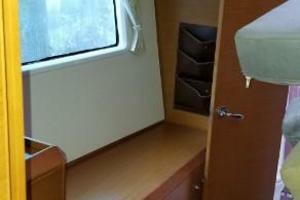 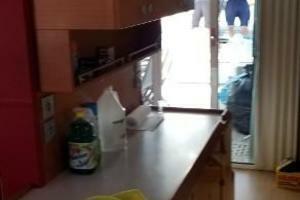 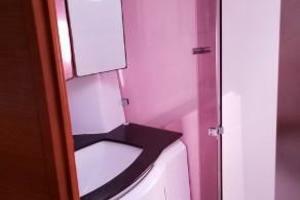 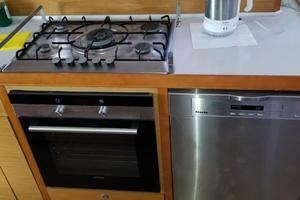 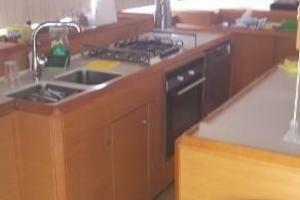 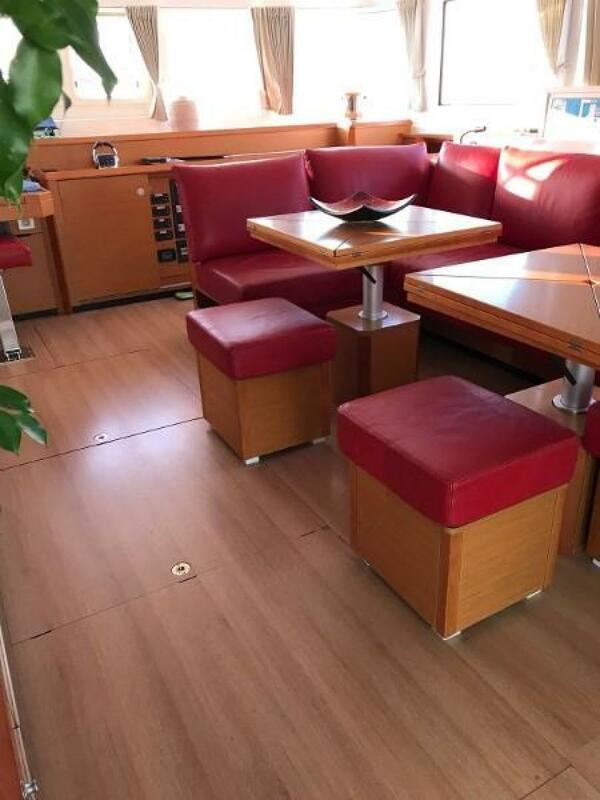 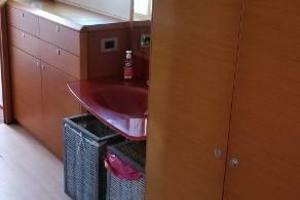 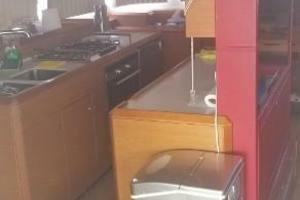 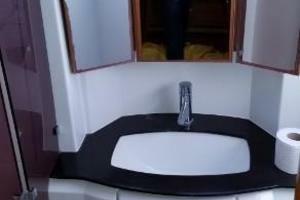 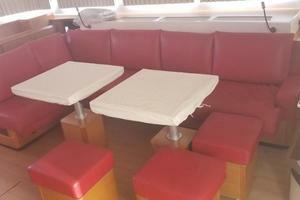 5 cabins, 5 head, with head and shower forward port bow compartment. 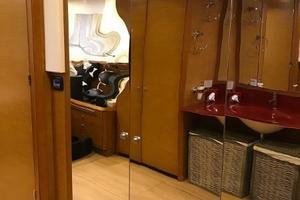 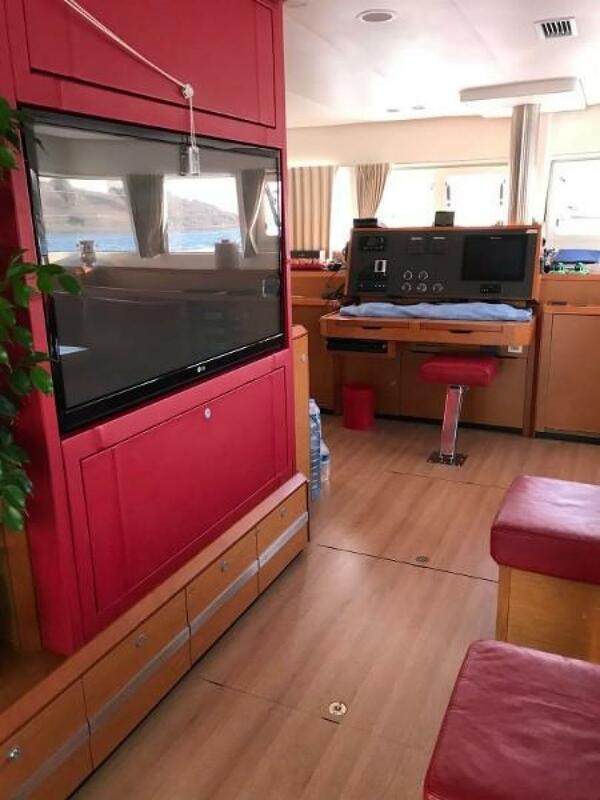 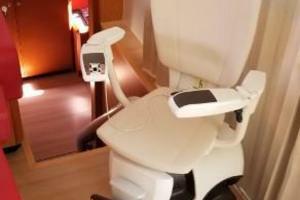 Rare galley-up design with large flat screen TV in salon. 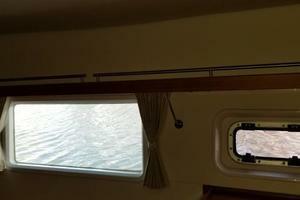 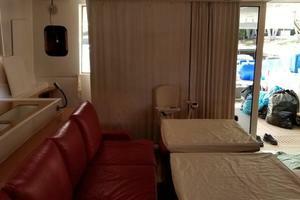 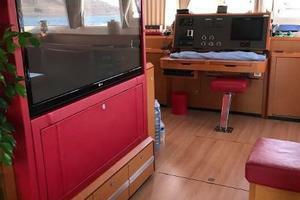 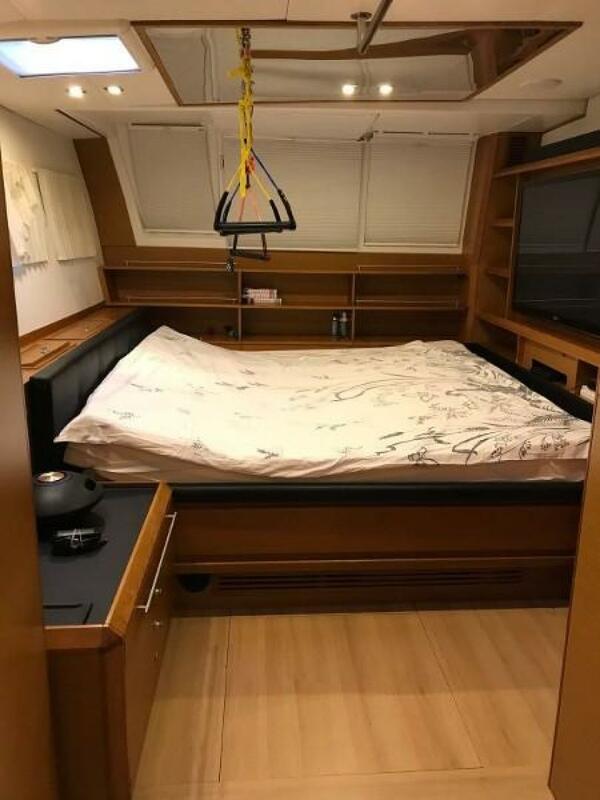 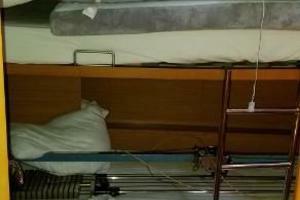 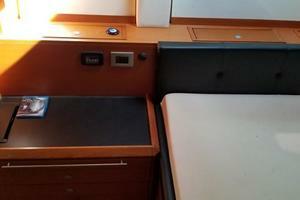 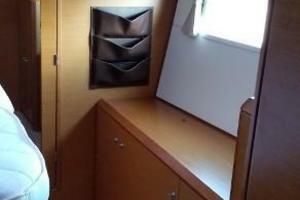 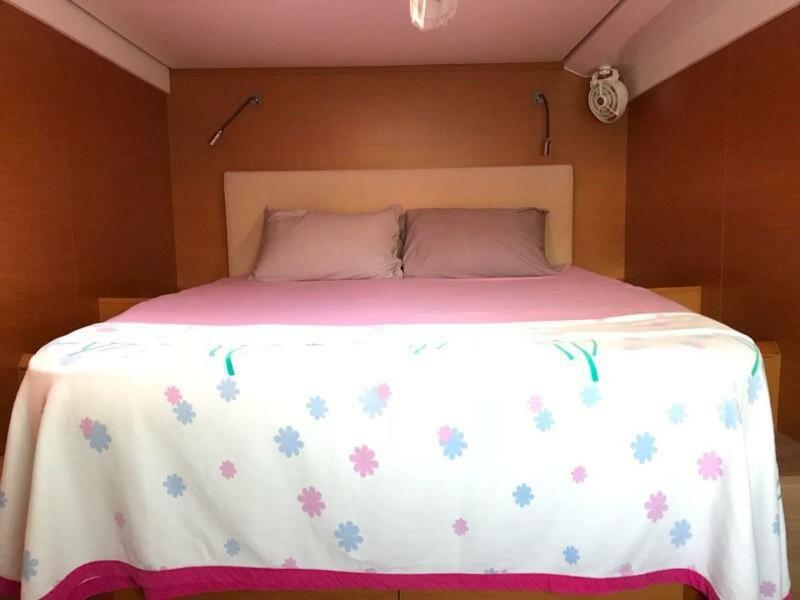 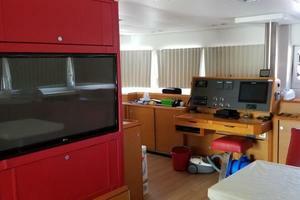 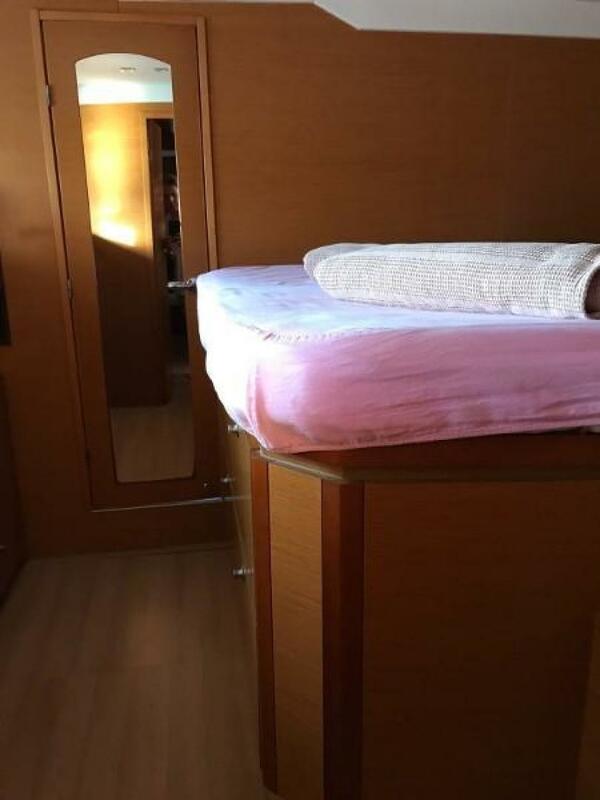 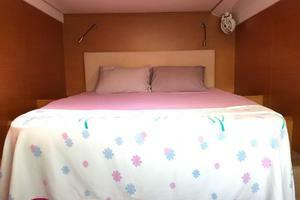 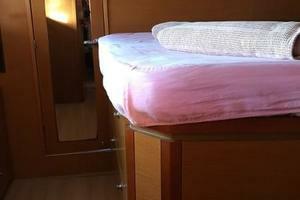 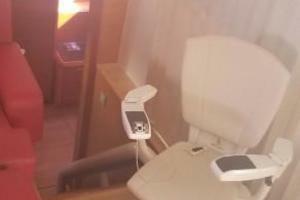 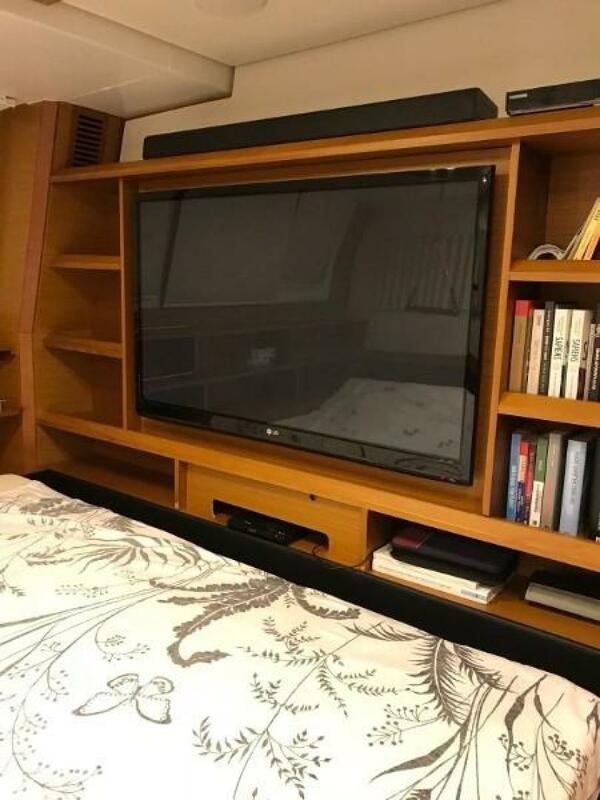 Owner’s cabin aft starboard side with king size bed. 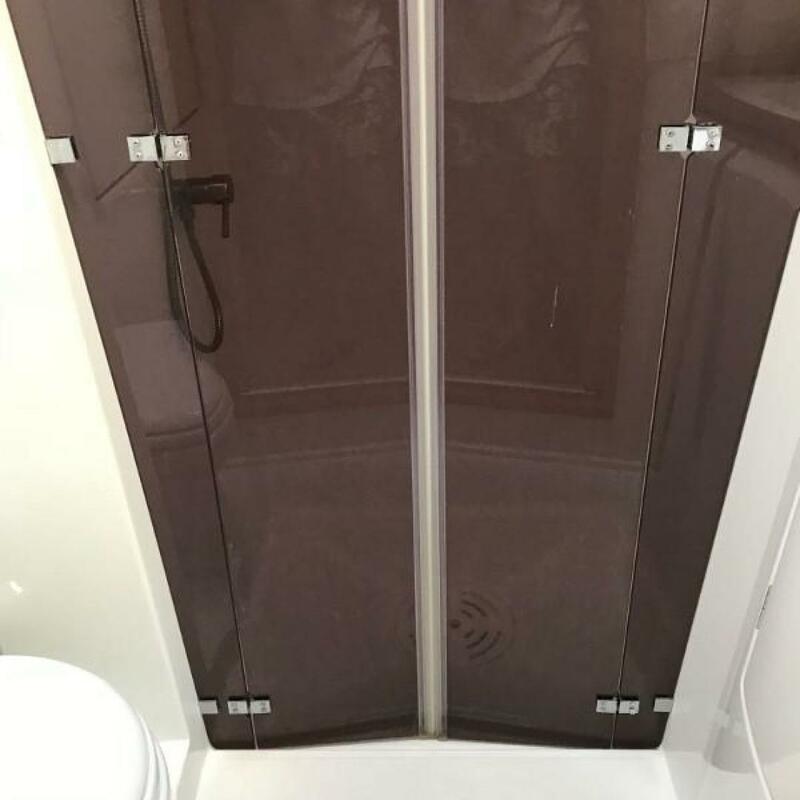 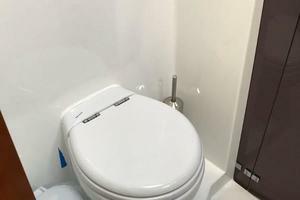 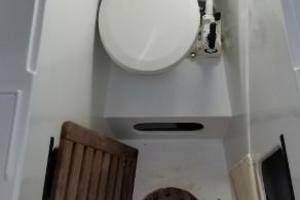 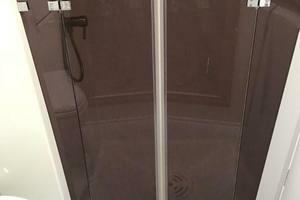 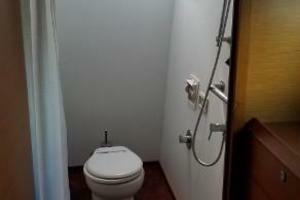 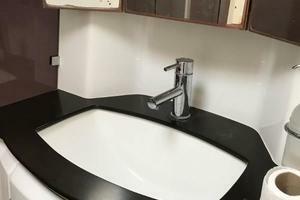 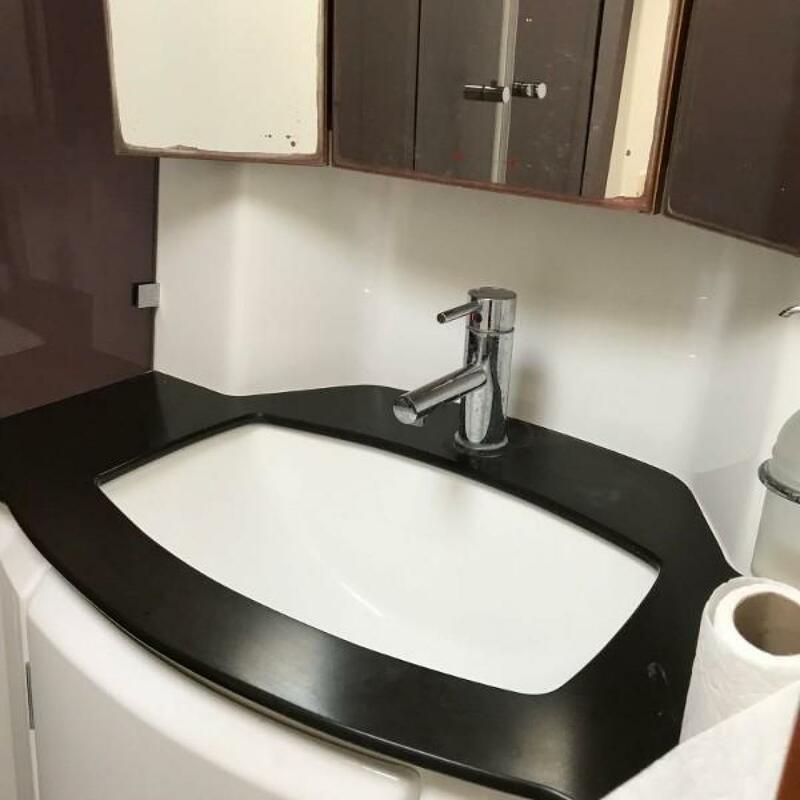 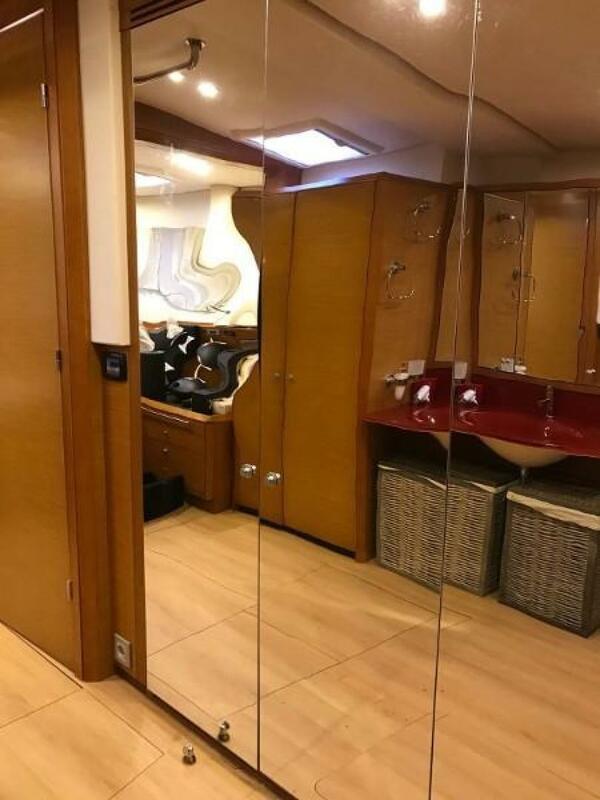 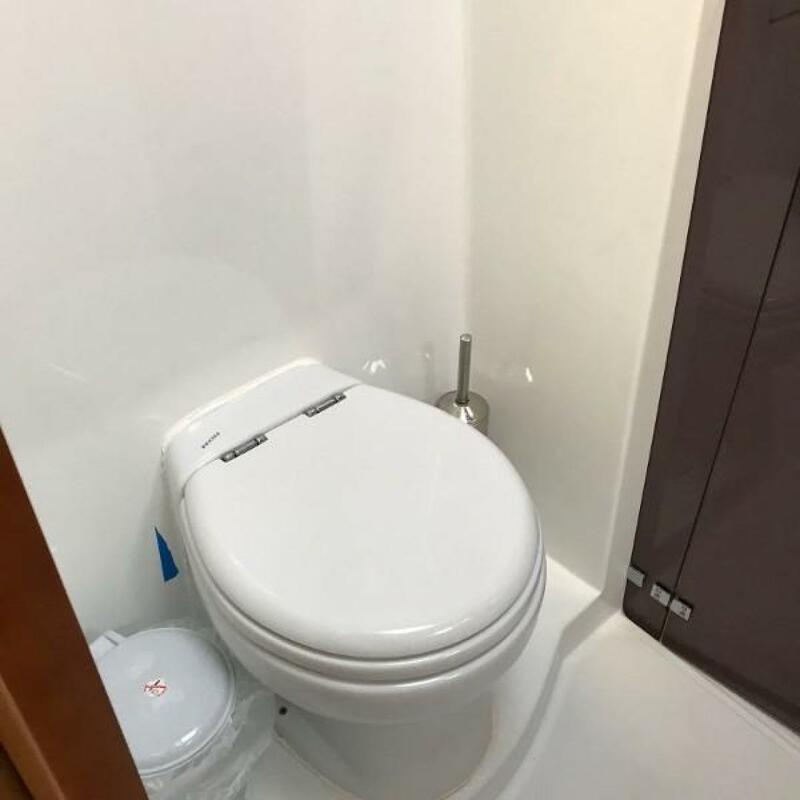 Large sink in owner’s cabin with separate walk-in shower and head. 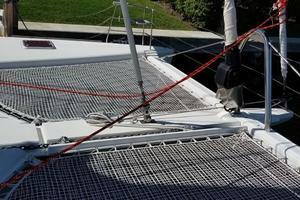 Highly customized for disable sailor to singlehand. 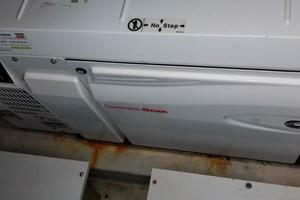 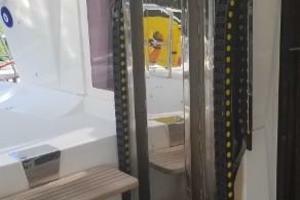 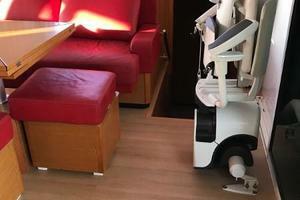 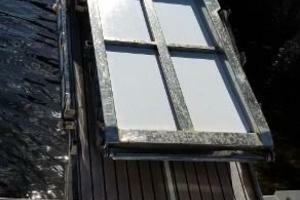 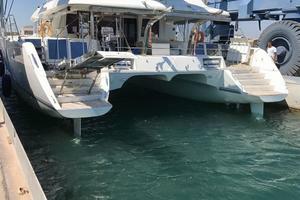 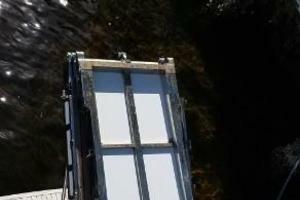 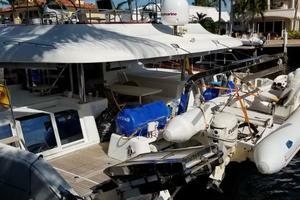 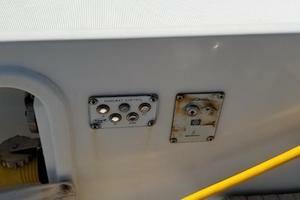 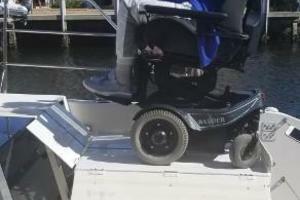 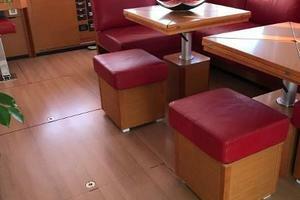 This boat is equipped with three elevators for disabled guest. 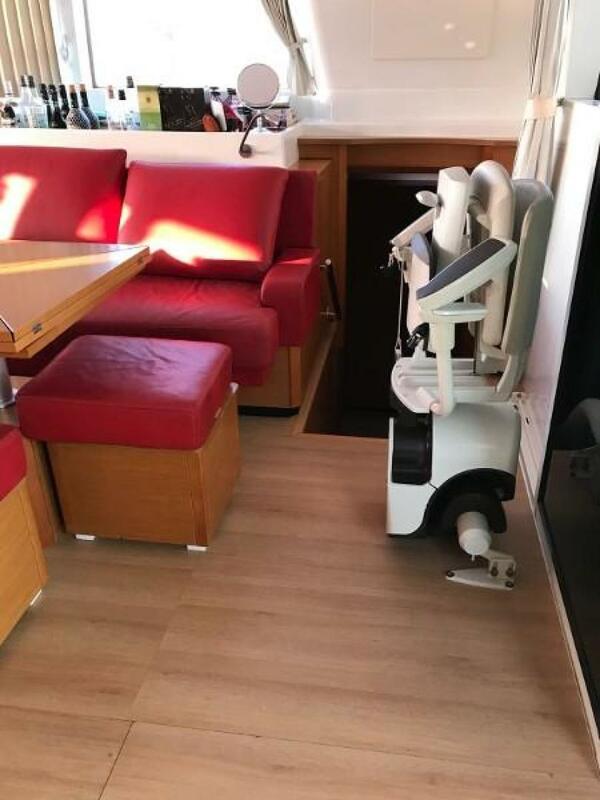 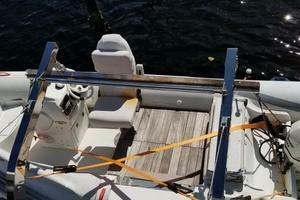 Custom chair lift from salon to owners cabin, deck level to cockpit level, cockpit to flybridge, and hydraulic passerail for aft transom boarding. 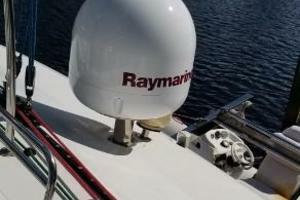 Majorly equipped for long range cruising. 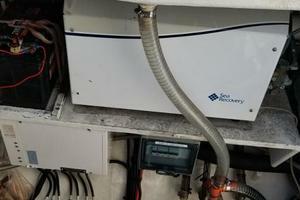 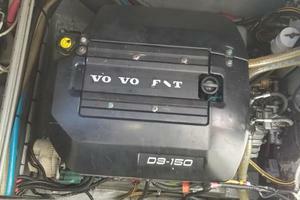 Shore power system is can operate air conditioning and battery charger on USA, 50Amp 60HZ shore power connection or on European 220V 50Hz system. 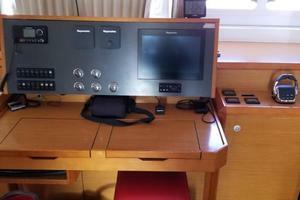 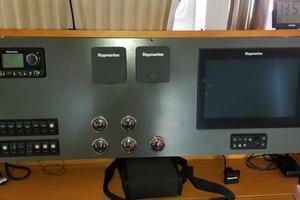 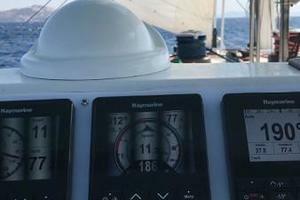 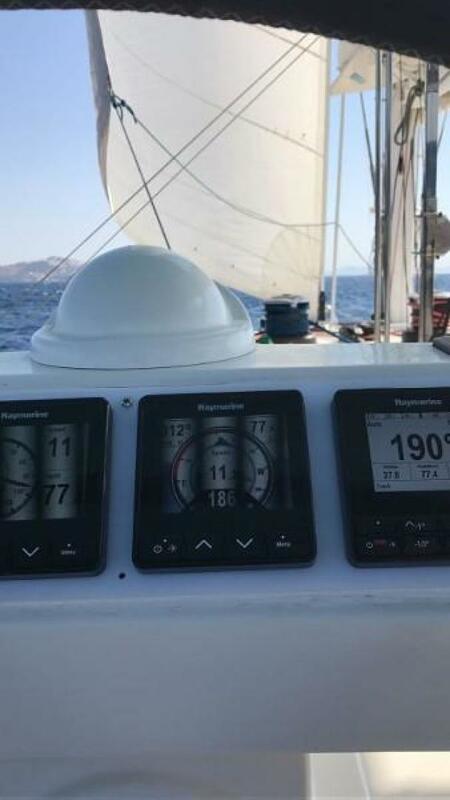 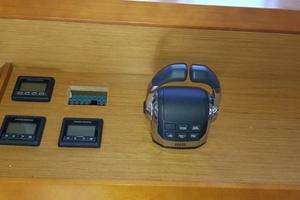 VHF AT HELM AND NAV STATION. 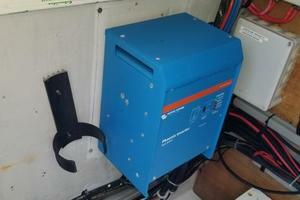 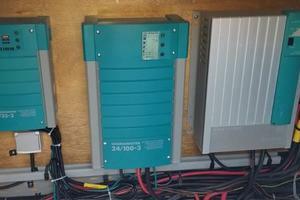 SHORE POWER IS 110V 60HZ AND 220V 50HZ.